Ideally located at Kelvinbridge in the fashionable and bohemian West End of Glasgow, close to the buzz of the Byres Road, great pubs, restaurants, museums and the University. 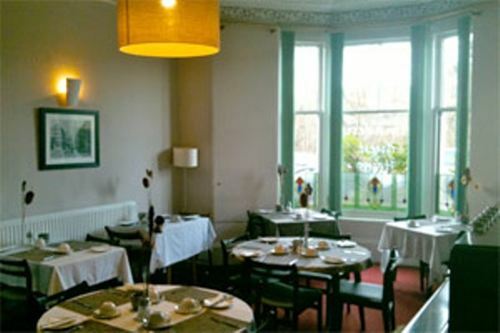 The guest house is within a 9 bedroom Victorian town house which overlooks the River Kelvin. The decor is simple, yet stylish, with contemporary rooms that are bright, airy, and comfortable. Choose from a single, double, twin, triple, and quadruple family rooms. Most rooms are en suite. 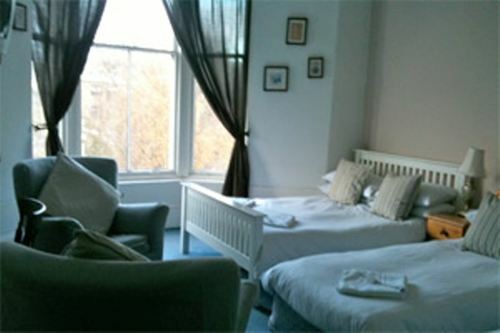 Each room has a TV, tea and coffee making facilities, hair dryers, and alarm clocks. Please note: the rooms are spread over 3 levels with no lift/elevator. There is unrestricted street parking outside. The Candle-lit breakfast is a large continental buffet made with a selection of the finest fresh local products. Enjoy your breakfast along with some Mozart, or other classical music, or even some jazz or bossa nova. Glasgow City Centre is about 10 minutes away on the underground with Kelvinbridge Subway Station only a short walk awa and convenient access to Kelvingrove Museum, Glasgow Botanic Gardens, the University of Glasgow, the Hunterian Museum and Art Gallery, the Kelvin Hall and a range of bars and restaurants. 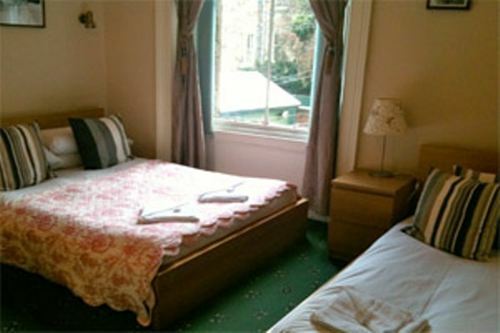 We love what we do at Amadeus Guest House and will endeavour to provide a pleasant stay to all of our guests. 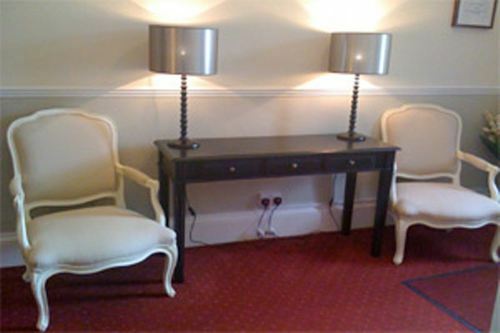 Prices from: £24 per person/night.